This is way beyond a face-palm moment. 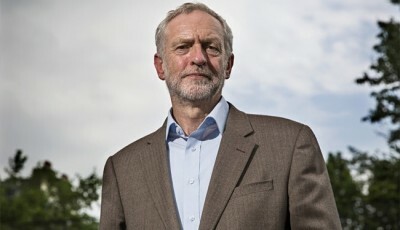 Jeremy Corbyn today launched a review into the Labour party’s supposed “anti-semitism crisis” – in fact, a crisis entirely confected by a toxic mix of the right, Israel supporters and the media. I have repeatedly pointed out that misleading claims of anti-semitism (along with much else) are being thrown at Corbyn to discredit him. You can read my criticisms of this campaign and Labour’s reponse here, here and here. But no matter what he said, the usual suspects are now accusing him of comparing Israel with Islamic State, even though that is clearly not what he said – not even close. First, even if he had said “Islamic State”, which he didn’t, that would not have meant he made a comparison with Israel. He was comparing the assumptions some people make that Jews and Muslims have tribal allegiances based on their religious or ethnic background. He was saying it was unfair to make such assumptions of either Jews or Muslims. In fact, such an assumption (which Corbyn does not share) would be more unfair to Muslims than to Jews. It would suggest that some Muslims easily feel an affinity with a terror organisation, while some Jews feel an affinity with a recognised state (which may or may not include their support for the occupation). That assumption is far uglier towards Muslims than it is towards Jews. But, of course, all of this is irrelevant because Corbyn did not make any such comparison. He clearly referred to “various self-styled Islamic states or organisations”. A spokesman later clarified that he meant “Saudi Arabia, Pakistan, Iran or Hamas in Gaza”. In other words, “various self-styled Islamic states and organisations” – just as he said in the speech. Surprise, surprise, the supposedly liberal Guardian’s coverage of this incident is as appalling as that found in the rightwing Telegraph. The Guardian has an article, quoting rabbis and others, pointing out the irony that Corbyn made an anti-semitic comment at the launch of an anti-semitism review – except, of course, that he didn’t. Or in other words, the Guardian reporter did not even bother to listen to the video of the speech posted alongside her report on the Guardian’s own website. Instead she and her editors jumped on the same bandwagon as everyone else, spreading the same malicious rumours and misinformation. When it later emerged that the story was a complete fabrication – one they could have proved for themselves had they listened to what Corbyn really said – they simply appended at the bottom a one-par mea culpa that almost no one will read. The Guardian has continued to publish the same defamatory article, one based on a deception from start to finish. The Guardian’s role in producing fast, well-sourced, calm, accessible and intelligent journalism is more important than ever. Well, it would be if that is what they were doing. Instead, this story confirms that the paper is producing the same shop-soiled disinformation as everyone else. Save your money and invest it in supporting real independent journalism.